The Paterson Allyn Williams Science Hub kicked off its 2018 year round program at the James Theatre in Dungog with a session entitled: Toxic Consequences: drug labs & firefighting foams science/risks. While the crowd gathered, guest speakers Therese Manning and Dr Jackie Wright took the opportunity meet the locals and introduce the toxic molecules they would be discussing. Therese Manning’s molecule doesn’t break down easily. It is water soluble, accumulates as it moves up the food chain and has been sprayed around the environment in firefighting foams over quite a few years. Much of Therese’s talk looked at the methodologies of assessing toxicity and then setting exposure limits, protocols for remediation and guidelines for ‘living with the risks’. Then, Dr Jackie Wright discussed the toxic effects of methamphetamine contamination from manufacturing sites or simply environments where it’s consumed. These residues can last years and are not obvious but can lead to significant health issues, especially in children. With the increase in ‘ice’ usage, contaminated housing is becoming a financial risk for local councils, developers and residential buyers. The Science Hub’s next event involves citizen science at the Dungog Common, a 260 hectare reserve at the edge of Dungog. All welcome to attend this family-friendly morning to join naturalists working to survey the local area. The aim is to discover which species are found at the Common using direct observation and indirect approaches while learning about techniques involved in biological surveys from an expert. 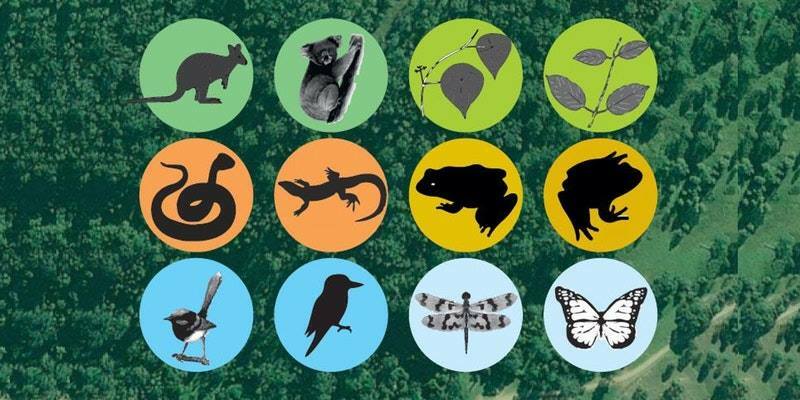 Come along to explore the biodiversity and natural beauty of the Dungog Common and help identify and record the species of its animals and plants. Teams of up to ten participants will be led by an ecologist who will provide advice to participants on species identification and survey techniques. This is a terrific opportunity to explore an exceptional natural resource on Dungog’s doorstep under the guidance of a biologist and in the company of like-minded curious amateur naturalists in an informal atmosphere. Get your team together For the ADULT Science & Engineering Challenge! The Science and Engineering Challenge is a nationwide program for school students who compete to solve challenges. Now we’re opening up the event for adults to have some fun too. Build a team of 6-8 now and be ready to face three fun challenges: Bridges, Catapults and/or Stringways, Grasping at Straws. Dungog High students will be on hand to act as helpers, marshals, mobile phone cheater-catchers, mentors and judges. You don’t have to be a boffin to join in, just be willing to give it a go and show that adults can have some fun too! Join us for the Autumn Koala Survey in the Paterson-Allyn Valley. This citizen science project aims to survey habitat and look for hard-to-find koalas, guided by professional scientists. Bring your skills or learn new ones and participate to protect koalas in the Barrington Tops. There will be some off-track walking and logistics/driving involved. Join the Allyn River Fungi Foray in the Upper Allyn Valley. During an easy short walk (grade 1-2), we’ll explore and learn about the unique and world class fungi of the Barringtons. This expedition will be led by experienced fungi finders. Stay in touch with what’s happening by following the Paterson Allyn Williams Science Hub on Facebook! An initiative supported by Inspiring Australia (NSW).